The Sandhills Community College 2018 Student Ambassadors recently participated in two days of training for their new positions. 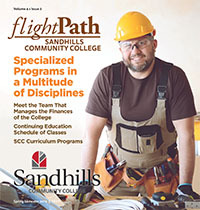 Student Ambassadors represent a very elite group of Sandhills’ hardest-working, most responsible and inspiring students. They will assist with campus tours and participate in many on-campus events such as Scholarship Recipient/Donor dinners, orientations, and Commencement. 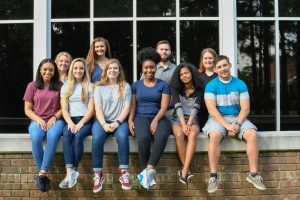 Pictured are front row (L to R): Gabrielle Pecina, Lindsey Crites, Autumn Norton, Valencia Owens, Jamilah Malik-Ismail, and Reid Garner. Back row: Hannah Bullen, Cayce Cleghorn, DJ Ferrell, and Lynn Hendricks.